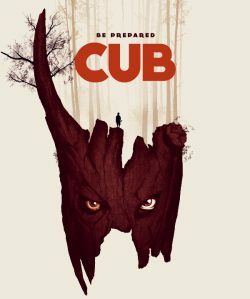 You are here: Home » Cub camp – will you survive? Did you enjoy your time in cubs? If you didn’t and want to get your own back then this maybe the film for you. Jonas Govaerts takes you on a wonderfully nostalgic look at the horror genre. It is reminiscent of some of the great 80s horror movies. It has it all, a wood, a camp site in the middle of nowhere and, more than likely, modern cliché’s of the genre. The shocks from the trailer does make, even me, want to catch it at some point. Sam, an imaginative but vulnerable twelve year-old, heads off to camp with his Cub Scouts troupe. Mistrusted by the pack leader Peter and isolated by the other scouts, he becomes convinced a terrible fate awaits them in the forest after he discovers a mysterious lair. When Sam tries to warn them, they ignore him and his darkest fears soon come to life as one by one his fellow scouts are hunted down leaving him to fight back to survive. Find out more on facebook, twitter or the official website.